Maintenance of the blog is an interminable task that needs to be coped with on regular bases to ensure a better blogging experience. When talking of maintenance, load time for your blog is an important factor to deal with in order to ensure a better user experience. You need to take into consideration the things that correlate with slower web page load time and consequently throw away the user convenience to approach your blog. When talking about factors that can contribute to a slower load time for your blog or web page, images come at the top of the list. They are a large component which make up more than 50% of the web page. So it becomes evidently imperative to reduce the file size of the images that you post. This can be achieved by using simple photo editors and shrinking the image dimensions. However a better way to achieve this is to use a tool called image optimizer which will allow you to compress the image file size without altering its dimensions. Today I will share with you, 3 of my favorite and free image optimizers which will help you in image compression to make them effectively usable for your blog. 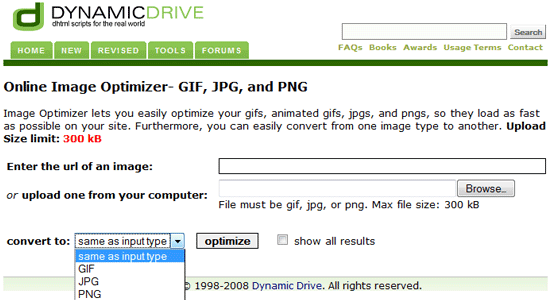 These image optimizer will compare the actual compressed images, so you can pick which one might work best for you. You can either upload the image from your computer or enter the URL if it’s available on the web. Web Resizer allows you to set the desired image quality at your convenience and compare them at various quality settings. It supports JPEG, PNG and GIF formats, with the maximum image size of 5MB. It offers features like crop, sharpness, border insertion and rotation. You can adjust contrast, exposure and color saturation, and convert to monochrome as well. 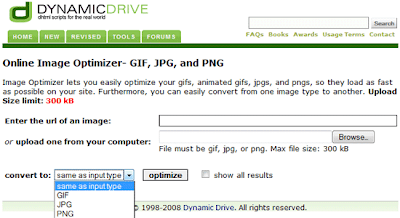 DynamicDrive Image Optimizer will help you optimize the images that have the formats JEPG, PNG and GIF with the facility to change the formats. The maximum image file size that can be uploaded is 2.86 mb. JPEG Reducer as the name suggests , will help you compress the images that belong to the JPEG and PNG format only. It automatically generates thumbnails as well. Smush It - is a image optimizer tool provided by the people at Yahoo. This is a non-lossy image optimization tool to squeeze the last bytes out of your images, without changing their look or visual quality. It comes in different flavor. It also offer an API that performs these optimization automatically. 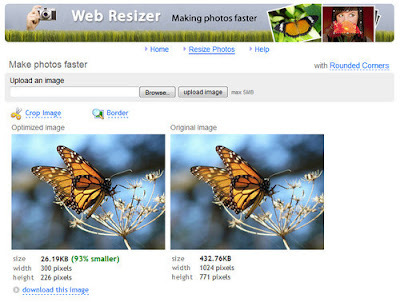 These were some easy to use image optimizer tools that can help you reduce your web page load time for a better user experience. If you know any other good ones, feel free to comment and share your experiences with us.